Stanton could say "Lafayette" in the same way other political and military stars need only one name: Washington, Lincoln, Roosevelt, Churchill, Stalin, Mao. By his full name and title, Marie-Joseph Paul Yves Roch Gilbert du Motier (Marquis de Lafayette) was born in 1757 into a noble French family with a LONG history of military service. Nearly 350 years before his arrival in the at-war Colonies his ancestor Gilbert de Lafayette III had been a companion-at-arms with Joan of Arc's army, fighting against English invaders. And nearly 50 years after Lafayette first arrived on our shores to fight in the Revolutionary War, he returned to the United States and visited, briefly, Stow, MA. Lafayette first arrived in 1777, age 19, as a volunteer, a French Army officer, but without official approval from the French government. He swiftly became an aide to General Washington, endured the winter at Valley Forge, and was given command positions in the Continental Army. He was also an essential liaison between the warring Americans and his home country, traveling back to France in 1779 and again in 1781 to beg for aid. The arrival of the French navy at Yorktown, Virginia, coinciding with land attacks by the Continental Army, in part led by Lafayette and Alexander Hamilton, led to the surrender of the British Army and the end of the War. 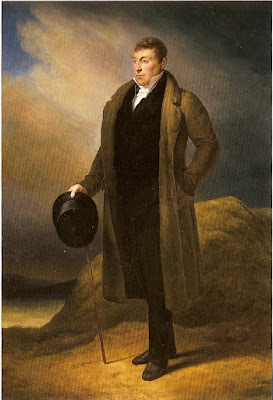 Lafayette returned to France where he had a life-long involvement in French governments under the King, the revolution, Bonaparte and the restoration of the monarchy. Interestingly, echoes of the Lexington/Concord feud sounded down through the years. In 1894 the Lexington Historical Society petitioned the Massachusetts State Legislature to proclaim April 19 as "Lexington Day." 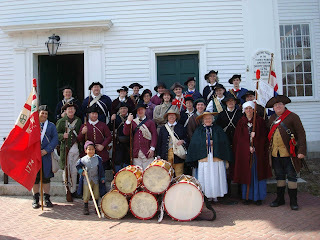 Concord countered with “Concord Day.” Governor Frederic Greenhalge opted for a compromise: "Patriots' Day." The Boston Marathon, started to honor the holiday, dates to 1897 - one year after the modern-era Olympics, including a marathon, was started, in Greece. If Lafayette's coach traveled west from Concord, stopping at Stow along the way, there is only one logical route for him to have taken - Laws Brook Road to School Street to Parker Road to Concord Street to Summer Street - and hence to Stow Lower Village. From the written records it does not appear that Stow was a planned stop, perhaps only a place to rest the horses and let the travelers stretch their legs, but there ended up being a reception of sorts. According to Crowell’s history of Stow (1933), Lafayette and his entourage reached the Stow common [next to Route 117 east of Shaw’s shopping plaza] after sunset and stayed for almost an hour. They were met by a military company led by Captain Pliny Wetherbee and feted at the Gardner Inn. The Honorable Rufus Hosmer coordinated the event. There were refreshments, the Marquis received a bouquet of flowers, and then departed into the darkness, miles to go before reaching the residence of Sampson V.S. Wilder, in Bolton, for a sumptuous feast and overnight stay. The house still stands, on Wilder Road. The above-described route across Stow (parts which did not become Maynard until 1871), would have been the reverse of much of the line of march of the Stow Minutemen on the morning of April 19, 1775, on their way to Concord. The Stow Minutemen Company re-enacts the march every Patriot's Day. New recruits welcome! Lafayette had become a Freemason early in his life. There is dispute whether this had occurred before he left France, or at Valley Forge, in December 1777, with General George Washington present and acting as Master of the Lodge at the time of initiation. Regardless, he remained an active Mason, and as such, was asked to place the cornerstone of many monuments, including Bunker Hill, on the 50th anniversary of that 1775 battle. From one description, "Lafayette became so emotionally connected to the United States that he took dirt from the excavation of the Bunker Hill Monument in Massachusetts and shipped it to France so he could be buried in American soil." weight six tons. Click on photos to enlarge. Stone is heavy. Every stone mason who has ever blackened a fingernail knows this to be true. Granite weighs 165-170 pounds per cubic foot. One 2x3 foot piece of bluestone for a walkway, two inches thick, weighs 150 pounds. Filling a wheelbarrow with gravel will exceed the safe load capacity of the wheelbarrow. Tons of stone are needed for a not particularly long or tall stone wall. Steel is heavier. Steel weighs 490 pounds per cubic foot. Pieces of rail on old and abandoned railroads across New England are 13 yards long and weigh half a ton or more. Going price for scrap steel is roughly ten cents per pound. Silver, surprisingly, is not much less dense than lead. The two metals come in at 655 and 709 pounds per cubic foot, respectively. In movies where silver is being cast into bullets (perhaps to shoot a werewolf?) the silver-colored molten metal is actually lead, which becomes liquid at 621 degrees Fahrenheit. Real silver melts at 1,763 degrees and glows red hot. Twenty-four carat gold is 1,206 pounds per cubic foot. Standard-sized gold bars are a tad under 2x4x8 inches and weigh 27.4 pounds. A regulation baseball is 12.8 cubic inches – give or take a bit – and weighs 0.3 pounds. Granite carved to the same dimensions would be 1.3 pounds; steel 3.7 pounds; lead 5.3 pounds and gold 9.0 pounds. At a late November 2016 price of $38.80 per gram, that solid gold baseball would be worth about $160,000. Wood floats, except when it does not. Water density is 62.4 pounds per cubic foot. Many dense-wood species of trees from around the world are called “ironwood.” In Spanish-speaking regions of South America, these trees are “quebracho,” derived from “quebrar hacha,” which translates as “axe-breaker.” Wood from quebracho, ebony, lignum vitae and other species can weigh as much as 80 pounds per cubic foot. In Massachusetts, the tree species American Hornbeam is also called ironwood, but its density is approximately 48 pounds per cubic foot, so it floats. Density of wood in part determines how much heat is produced when burned. After sufficient air drying, softwood trees such as poplar, aspen and willow weigh 20 to 25 pounds per cubic foot. Ash, birch and elm are intermediate woods with weights of 35 to 40 pounds. The common hardwoods, which include apple, beech and oak, all exceed 40 pounds. Cord for cord, the net heating value of oak or sugar maple will be nearly double that of poplar or aspen. An equal weight of coal will deliver nearly twice the heat of hardwoods. For all wood, the higher moisture content of green wood means less heat generated compared to wood properly air dried, the reason being that heat is lost vaporizing the water content. Splitting speeds the drying process. Pure water weighs 1,000 kilograms per cubic meter. Converted to English units, that becomes 62.4 pounds per cubic foot. A gallon of water weighs 8.33 pounds; thus, the mnemonic "a pint weighs a pound," is close, but not spot-on. Sea water, because of the dissolved minerals, has a higher density of 1,026 kg per cubic meter. Ice from fresh water has a density of 919 kg per cubic meter. Dividing by 16.02 to get to pounds per cubic foot yields 57.3 pounds. Salt crystal melts surrounding snow. As ice is only eight percent lighter than water, it would take an ice floe with the dimensions eight inches thick and 7x7 feet square to (barely) support a 160 pound person. Obviously, when walking on a frozen lake, it is the tensile strength of ice spreading the weight burden over a wide area rather than the floatation capacity of the ice directly underfoot that keeps you from plunging through. On fresh water, four inches of clear ice is considered the safe minimum for skating, walking or ice fishing. Locally, winters average 40 to 50 inches of snow per year. The loose rule of thumb is ten inches of snow equates to one inch of rain. That puts snow at 100 kg per cubic meter, or 6.2 pounds per cubic foot. Wetter snow will be denser. Powdery snow will be much lighter. Roof melt that ends up on an unheated porch or garage roof can refreeze. In this way a flattish roof with an area of 20x20 feet could easily end up supporting two to three tons of dense snow and ice. Stow's Lower Village Cemetery, burials 1700 to present. the grave. Click on photos to enlarge. In the early Stow years, when people died, they were buried in the Lower Village Cemetery with their graves oriented east-west, feet pointing east, so that on Resurrection Day, when “…the trumpet shall sound and the dead shall be raised…” they would arise facing the new day. Headstones were inscribed on the far side of the deceased. This way, a person reading the inscription would be standing on the other side from the body. The Lower Village Cemetery was located near the original meeting house. A kiosk on the south side of the cemetery has a map on one side with numbers for the graves and a numerically ordered list of the 500-odd burials on the other side, showing names, dates of death, ages and dates of birth. The list is not up to date, as there are at least a half-dozen 21st century burials not shown. The earliest interment on record dates to 1711. Given Stow was settled in the 1680s, either everyone was preternaturally healthy or else earlier burials were not properly recorded. Colonial era graveyards were not as tidy as now. Families did not own plots, graves were dug between graves, and over long periods of time stones were lost and burial spaces reused. Bones of the previously deceased were dumped in a common pit, burned, or left under where the new coffin would go. Stow's oldest cemetery is not quite that ancient, but there are many spaces where gravestones had once been, the only evidence now being a circular metal marker flush with the ground, lettered "UMK" for unmarked. The great majority of the headstones in Lower Village are made of slate, many obscured by over-growing lichen. Fewer are marble. Fewer still, granite. Familiar names include Brooks, Brown, Conant, Gates, Goodnow, Hale, Randall, Taylor and Whitney. Among the Whitneys, one stone is for Richard Whitney (1692-1775), next to it Hannah, his wife, and next to her Hannah, his wife. Richard and Hannah-1 had eight children before she died at the age of 50. Two years later he married Hannah-2, a widow who had five children from her first marriage. Richard and Hannah-2 had no additional children. They both passed away in 1775, after 30 years together. Eastern Massachusetts headstone art changed through the centuries, the changes usually beginning in Boston and the neighboring cities, then radiating outward. The 1600s were characterized by a death's head - a toothy stylized skull flanked by wings. By the 1700s another iconographic motif took over. Called a winged cherub or a soul effigy, this motif was characterized by a fleshy face and life-like eyes, again flanked by wings. Many of the headstones in the Lower Village Cemetery display this image. By the late 1700s and early 1800s headstones featured a willow tree, an urn, or often the combination of the two. The willow was an ancient symbol of mourning. Urns were symbols of Roman-era items used to contain the deceased's ashes. A small subset of stones in Stow present an entirely different direction - a simplified, mask-like face, no wings, with much of the rest of the stone showing circles filled with spirals or stylized flower outlines. These look very modern, but date to 1700-1760. Massachusetts stone carvers associated with this style were John Hartshorn, Robert Mullicken and Mullicken's three sons. To visit this cemetery, park at Shaw's Plaza and walk over. Its layout predates the Rural Cemetery Movement, which made its first appearance in the United States with Mount Auburn Cemetery, in Cambridge (1831). That innovation called for a site distant from the immediate neighborhood of meeting houses or churches, either town owned or privately owned, often on a hillside near the outer edges of town, with winding paths and extensive landscaping. Cemeteries became not what you passed on your way to Sunday service, but rather a place you might visit to honor the departed, take a meditative walk, or even have a picnic. Stow's newest cemetery - Brookside (1864) - is more aligned with the latter concept while Hillside (1849) - Stow's second cemetery - is more of the old style. Tombstone art has become common again. Headstones now tend to be long-lasting granite. Rather than being hand-carved, these very hard stones are etched with a computer-guided laser. Images can range from simple information to portraits of the departed, or perhaps something important from their life. In Matinicus Cemetery, Matinicus Island, Maine, some of the stones include an image of the lobster boat that belonged to the deceased. Maynard's Glenwood Cemetery was dedicated in 1871, so it contains none of these old-style slate stones or headstone art. There are 20-30 stones dated earlier than 1871; either these were buried in anticipation that the town would purchase the land for a town cemetery or else they were relocated from family plots on family land after the cemetery was open for business.